Police said Anshum Gupta, a B.Tech student of 2010 batch, was found lying in a pool of blood around 11 am. He had left his home telling his family he was going to the IIT campus to meet a friend. 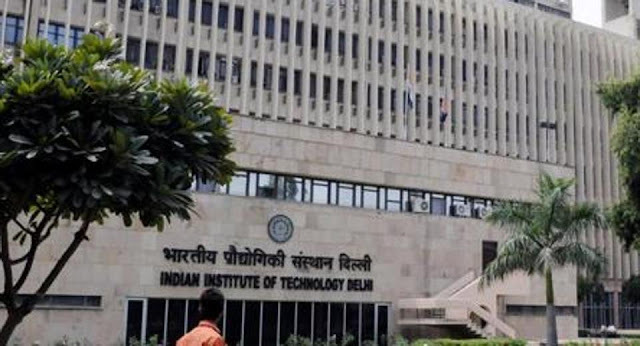 An Indian Institute of Technology alumnus killed himself on Friday by jumping off the seventh floor of a building at the IIT-Delhi campus. Police did not find a suicide note near the body, but family members said the 31-year-old Anshum Gupta was under treatment for depression. Police are questioning his batch mates to find out why he had committed suicide at IIT-Delhi, from where he had finished his MTech in computer science and engineering eight years ago. Police said that Gupta was formerly employed with an Internet major but had not been working for the last 5-6 months. An officer investigating the case said Gupta worked with the Internet major between 2012 and 2015 in the United States. In 2015 he had returned to India. He had reportedly slipped into depression and was being treated at a clinic in south Delhi’s Chittaranjan Park. Police suspect he may have gone into depression while at work in the US. Deputy commissioner of police (south west) Milind Dumbere said it was not clear why Gupta had gone to the IIT campus on Friday. “He jumped off the 7th floor of the IRD building. He was rushed to the hospital where he was declared brought dead,” Dumbere said. Police investigations revealed that Gupta entered the IIT campus at 10:40 am. He had told his family that he would be meeting some friends there. He had left his car at home. Police suspect he took an autorickshaw to reach the IIT campus. At around 10:50 am, a security guard and some other students saw him fall from the building. Family members said they were informed of Gupta’s death at around 11am. Police do not suspect any foul play but have sought footage of CCTV cameras for more evidence. So far, police have not found any eyewitnesses who met Gupta before he jumped. Gupta’s body was handed over to his family members after a post-mortem at the AIIMS Trauma centre. An alumnus of the Sardar Patel Vidyalaya, he had finished school in 2005. “We do not blame anyone for this incident. The family is not in a state to talk about the incident. He was an IIT student but his death has nothing to do with the educational institute,” said a family member, asked not to be named. “He was always on top in academics. This is a shock for the family. He had been switching jobs frequently and was also under medication for past some time. He had resigned from his latest job a few months ago,” the family member added. Police said Gupta lost his father in 1995. His elder brother works in the United States.